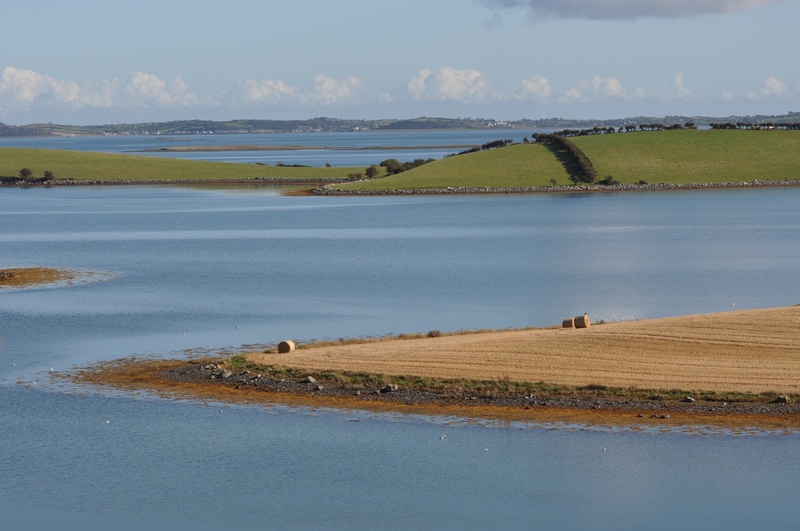 The townland of Quarterland hugs a quiet, sheltered bay on the western shore of Strangford Lough. 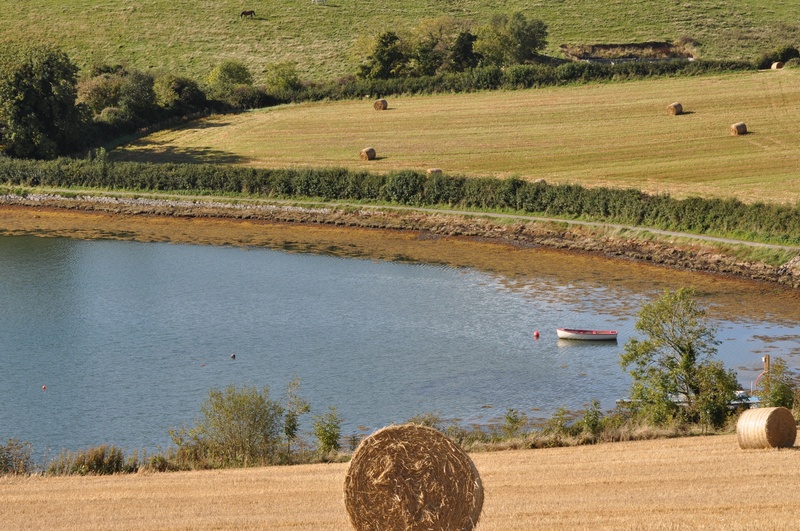 The townland is off the beaten track, south of Killinchy and Ballymorran, north of the Ringhaddy peninsula. It only contains one road, which bears the townland name. 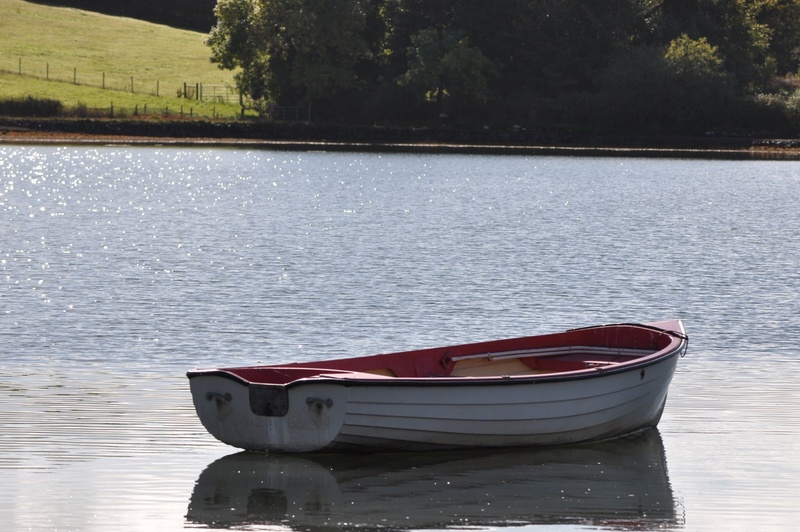 You can also reach Quarterland from the water, by sailing up Strangford Lough. First you need to navigate through the islands and fingers of land. Then watch out for avalanches of straw bales. Finally you reach Quarterland bay. 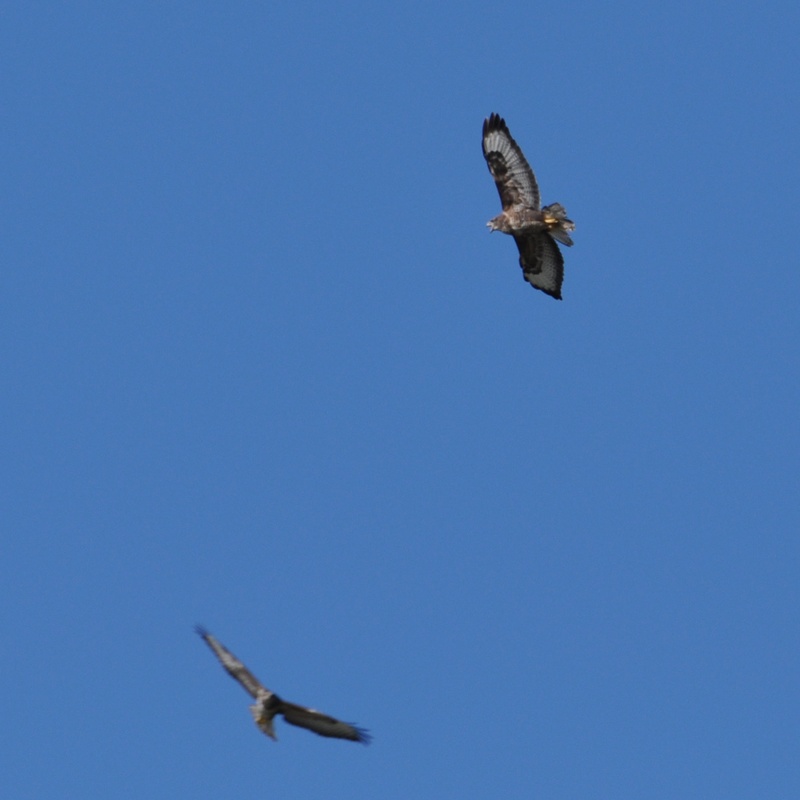 Quarterland was quiet on the day of my visit, at least until the buzzards started crying. 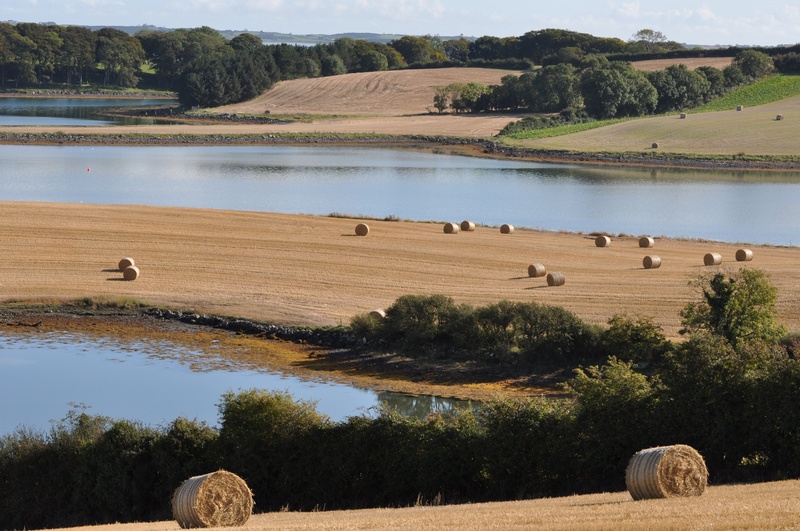 The authors of the PLACENAMESNI website explain that the original Irish name for this townland was An Cheathrú Riabhach meaning “the brindled quarter”. In 1745 the name was partially translated on a map as Quarterland, and by the 1830s that had become the usual name. 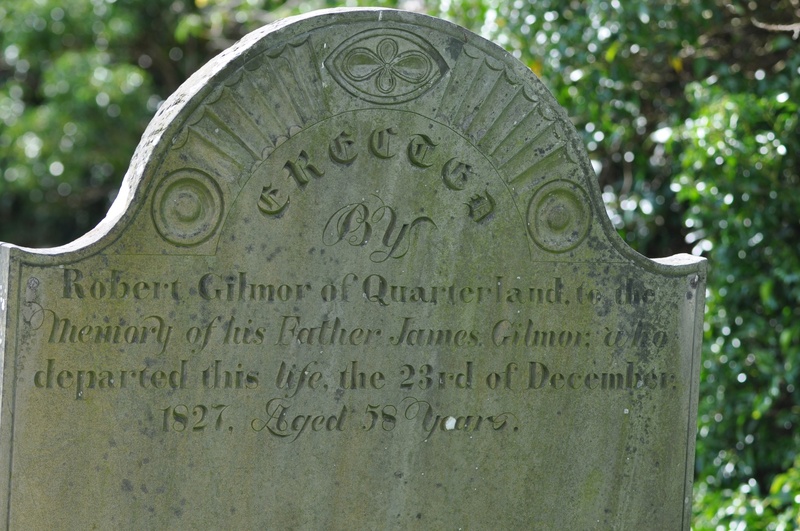 I found my own 19th century example of the Quarterland name on a gravestone for the Gilmor family in the churchyard at Killaresy. Which other townlands border Quarterland? To the north, Ballymorran (which is so photogenic that I’ve gone back and added some new images to my earlier post ). To the west, Tullycore. To the south, Tullymore and Rathgorman. 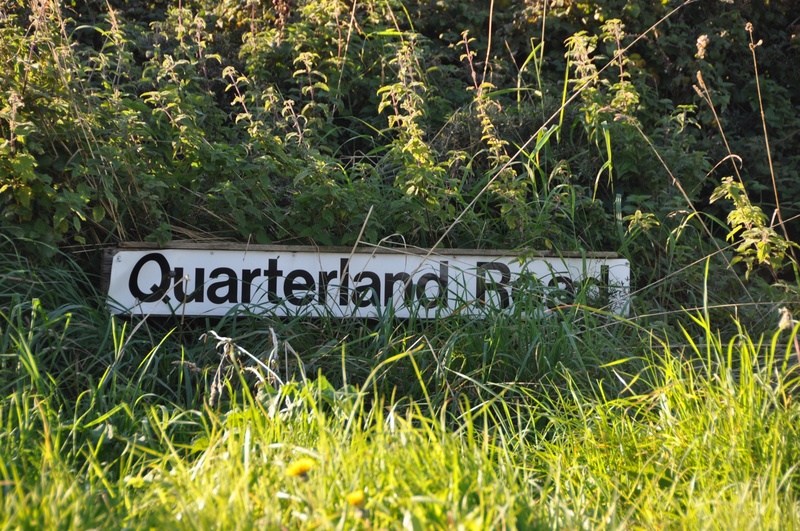 Which council area is Quarterland in? Ards and North Down. Which county is Quarterland in? County Down. Finally, click here for the PLACENAMESNI website to see a map of the townland of Quarterland and to read more about the origin of the name.